The foundation of SharePoint storage in Office 365 are lists and libraries. Almost everything, including the Office 365 Video Portal, the new Blog feature as well as Groups use these objects to deliver you content. The same goes for your collaboration sites built in SharePoint Online for teams to work together with more than what Groups provide. This article explains what are lists and libraries for you to get started. Have you worked with Access or SQL before to build a database? It doesn’t have to be one of those two, any type of database essentially works the same. You have a database, within it you'll find Tables and then use Views or other programs to show what's in these tables to end users. The site is like a database and lists and libraries are tables to store data. Finally, the pages you create allow you to show what's in those lists and libraries in a way that's easy for your end users to consume. 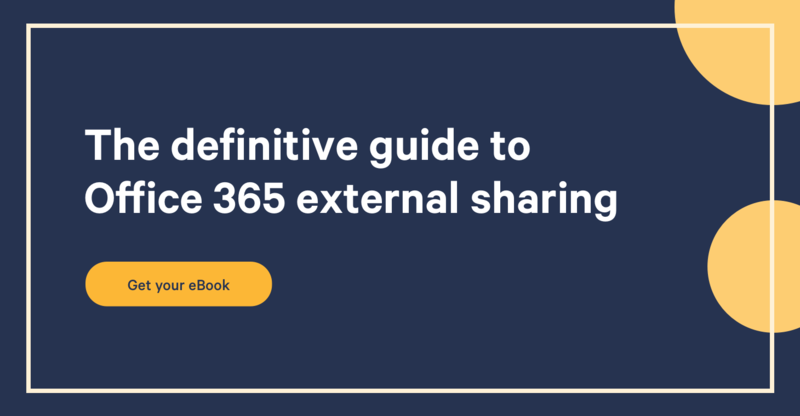 I’ve previously covered what Office 365 Sites are if you want to dive deeper into them. If you’ve used Word or Excel in the past, then you won’t find this difficult at all. An Office 365 List is essentially a table, the more columns you create, the more information you’ll be able to gather from each row that gets created in that table. Well, when that table is created in Office 365 SharePoint, we call it a List. Essentially, it’s a way for you to take those Excel sheets that were created to store data in a table format and never really should have been in Excel. It was, because we didn’t have an alternative then. It’s on the web, so you don’t need a special program to access the information other than a browser. Each row in the list is independent, no more warning about Excel being already opened by someone else and locked. Versioning is available on each entry in your list, making it possible to view the history of an item and restore it independently from the rest of the list items. Content Approval can be enabled to allow a process to control creation or modification and even deletion of each item. Workflows can be created to automate any process on every single entry within the Office 365 list. Not to mention that everything created in Office 365 SharePoint lists is indexed and available for the Search engine and its Web Parts. This Allows you to build almost anything with the data stored in these lists. I don’t know why it took us so many years to realize that storing files in a table format was more efficient than a basic file share, but we finally brought this with Document Libraries. Take an Office 365 List, the table I was talking about, and imagine that each row in it is actually the document itself. The columns allow you to add more information on these documents without having to choose in which folder to physically put them. In fact, the concept of adding more data to documents using columns is often called “Metadata” in our Office 365 world. Think of the word Universe, it means there's only one verse and if we say Metaverse, then we're referring to multiple universes. I know, I may be watching a little too much science fiction, but it helps. Now, take the word Data and Metadata, it simply means that we have more data on these documents. If you take a picture and the date of the picture is showing on your camera, that’s metadata as well. Similar to Office 365 SharePoint lists, this table that stores files as what we call a “Document Library” offers the same benefits mentioned above. But it even goes as far as allowing co-authoring of documents and easily sending links to them instead of attachments. Though lists and libraries are simply viewed as the storage, the place where your content is stored and lives, it often enabled a lot more with them. The columns you create in these “tables” allow you to collect the right information about each of these entries or documents and thus create a more favorable adoption for your platform and, in turn, increase productivity at the office. However, creating columns in lists and libraries is a tricky thing. You can’t simply create them from the ribbon you see using the button “Create Column”. In fact, I often compare the Create Column button in lists and libraries to screaming out loud “I don’t care about this column”. Not only will the column not be reusable, but even worse: it won't be usable with Search. There’s another way to create these columns before using them in SharePoint and that’s by creating them as Site Columns. 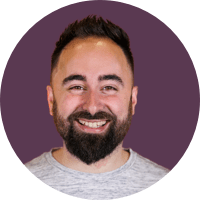 If you're not comfortable with either Site Columns or Content Types, then I highly recommend you watch the hour long detailed explanation of what are Site Columns and Content types. At the end of the day, you should look at your Office 365 Lists and Libraries as more than just storage. With these columns to add metadata, a lot more is possible with pages and search. It allows you to build Intranets, Extranets, Public Website and frankly, anything you want. Try to see them as tables in a database and I'm sure it'll help you grasp a little more what the possibilities are with them as storage of your content.